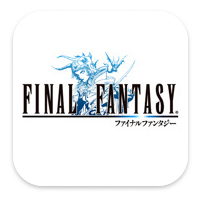 Developer Square Enix has announced that Final Fantasy III will be released as a native iPad app this Thursday. The regular iPhone port of the Nintendo DS title (itself a 3D remake of the classic RPG) already offers multiple improvements over the DS version and Square Enix has promised even stronger visuals that look to take advantage of the extra screen real estate offered by Apple’s iPad. Final Fantasy enthusiasts will have to wait to see if the power of the iPad will provide the game with any further enhancements. While the iPhone edition is currently priced at $15.99 in the app store, no information regarding pricing on the iPad has been released.